The focus of the Rutgers Environmental Steward program is donor-centric, mindful of what the donors and the program&apos;s constituents want to accomplish with their money. We recognize the importance of donors&apos; intentions and facilitate the necessary interactions to support the program and Rutgers Cooperative Extension. The Rutgers Environmental Steward Enrichment Fund helps support scholarships for Stewards in need, mini-grants to help make internship projects successful, and advanced trainings to keep Stewards informed of the latest environmental issues. 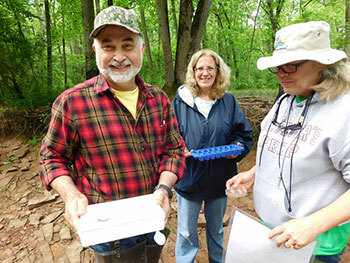 Support for this program enables Rutgers Cooperative Extension to help Stewards advocate for sound science and informed environmental policy at the local and state level.